You may have read my two recent postings about so-called “Cajun Country” in swampy southwest Louisiana. Well, it’s time to get your swamp boots and mosquito repellent on again, for right in the middle of the ancient oak trees draped in Spanish moss, and the black bayous — or slow-moving streams — full of alligators in the Louisiana marshes near the Gulf of Mexico is an amazing tropical oasis. It’s Avery Island, a treasure island, in truth, that has been owned by the same family for more than 150 years. Once called Petite Anse Island by the first French-speaking settlers who pushed out the native Indian population, it was renamed for Daniel Dudley Avery, a judge from the state capital of Baton Rouge, who took over the island’s sugar plantation in 1849. Before going further, I should point out that Avery Island is not really an island at all. It’s a 900-hectare [22-hundred-acre] rise atop a salt dome, 15 kilometers inland from the Gulf. By salt dome, I mean the tip of a seemingly bottomless pillar of salt that stretches farther down into the earth than the tallest mountain — Tibet’s Mount Everest — is high. Eventually Louisiana salt domes got covered over with rich sediment washed down the Mississippi and Red rivers, giving them the appearance of islands above their flat coastal surroundings. And as a result, the big bump that is Avery Island is the highest spot of land between Brownsville at the southern tip of neighboring Texas and Key Largo, Florida, three states to the east. During the American Civil War, Avery Island supplied more than 10 million kilos [about 22 million pounds] of salt to the southern Confederacy. Four years after the war ended in 1864, a man named Edmund McIlhenny, who had married one of Daniel Avery’s daughters, began manufacturing pepper sauce on Avery Island. In 1870, he received patents for a processing formula that is, basically, still in use today. The stuff was initially poured into cologne-type bottles with cork stoppers and sprinkler fittings. This was — and is — important, because Tabasco sauce is so concentrated that, if you have any sense, you dash, not pour, it onto your food. 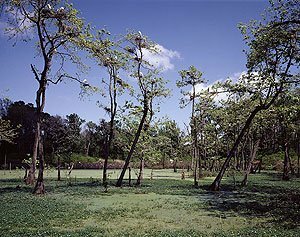 On Avery Island today, besides the salt mines and sauce factory, are oil wells, an incredible botanical garden, a bird sanctuary where elegant white egrets roost by the hundreds, and archaeological dig sites where mastodon bones, deep pockets of oil, and early Indian pottery have been unearthed. 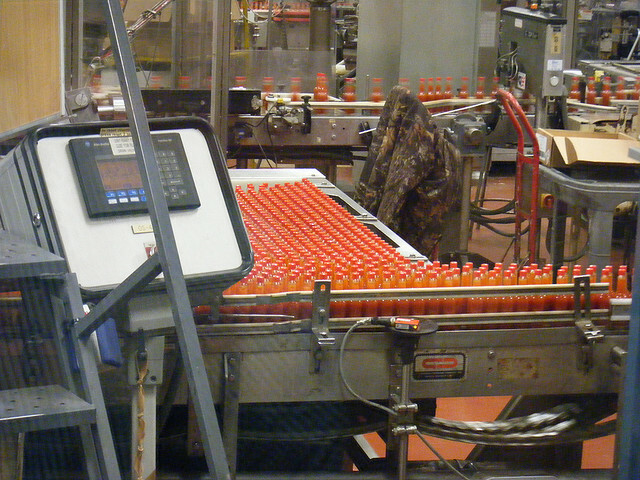 A film orients visitors to the McIlhenny Company operation, where each workday, almost three-quarters of a million little 57-milliliter bottles of flaming-red (and flaming-hot) Tabasco pepper sauce — and other bottles as large as four liters for restaurant use — rattle off production lines. 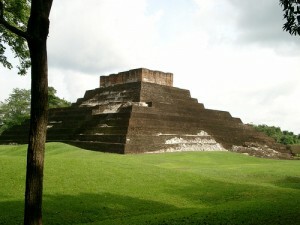 Let me reemphasize that: 720,000 bottles of hot sauce roll out of this otherwise-obscure piece of marshland each day. Most are filled with the company’s signature red sauce, though the line has broadened to include a green jalepeño sauce and various steak sauces and meat marinades. And everything, including the egrets and other swamp creatures in the company’s “Jungle Gardens” — is owned by the McIlhennies. The Mother Goose children’s rhyme notwithstanding, it isn’t Peter Piper who picks the pickled peppers. Over five months from July through November, local Acadians pick the Tabasco peppers, which have ripened in green, yellow, orange, and bright-red stages. That very day, others mash them in vats, add a little Avery Island salt, and seal the squishy mixture in large, white-oak barrels. Each is capped with a wooden cover into which several holes have been drilled. Then a thick layer of rock salt is piled atop the lid. Over the next three years of curing, the salt seeps in as the mixture ferments, while the mash develops a flavor that pepper aficionados can distinguish in a flash from other regional hot sauces. 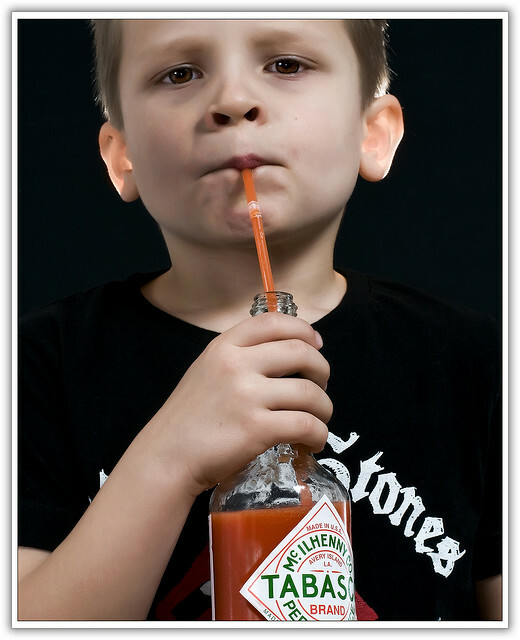 As you might expect, the “Tabasco” name and the brand’s familiar diamond-shaped label and logo are vigorously guarded trademarks for products — including all sorts of shirts, snacks, posters, and other souvenirs — that the company sells in 160 countries around the world. According to some branding experts, Tabasco is second only to Coca-Cola as the most recognized trademark in the world. 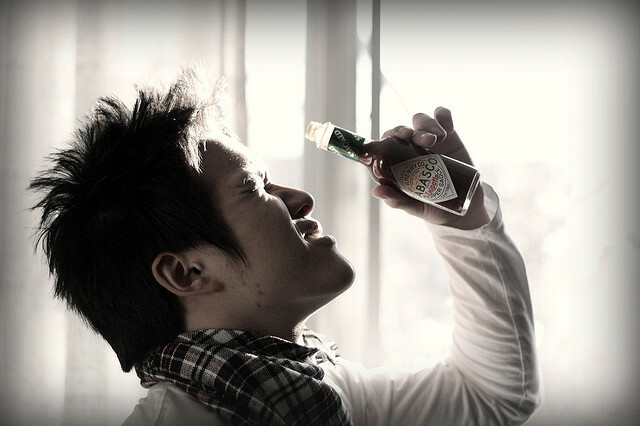 In Japan, it’s used on pizza and spaghetti so much that many Japanese think Tabasco is Italian. In the American South — and almost without fail in Southwest Louisiana — just about every table will have three different spices on it: a little salt, a little pepper, and a lot of pepper sauce. One descendant of the Avery family told me, with a wink, that dashing your first drop of Tabasco sauce on a soft-boiled egg as a child is a rite of manhood. That’s macho hooey. I’ve seen some Louisiana women douse their eggs in Tabasco. About 25 years ago, the McIlhenny Company began spreading some of its pepper-growing to farms in Honduras, Colombia, Venezuela, and Mexico, as well as Avery Island. 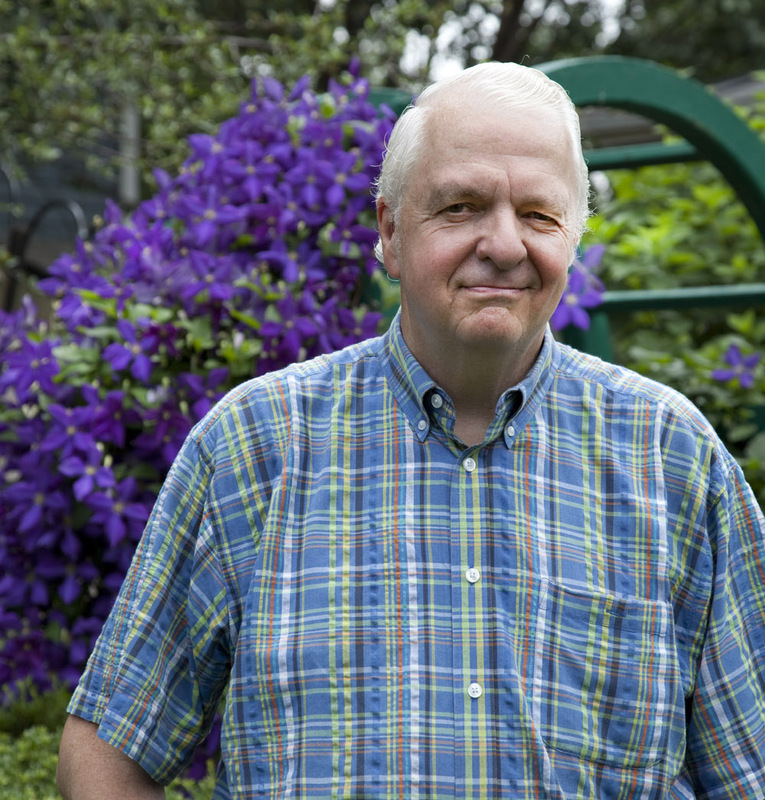 If there’s a blight or a revolution, the firm’s unique varieties of Tabasco peppers will be safe. The same reasoning applies to hurricane devastation. The infamous, deadly Hurricane Katrina of 2005 barely brushed Avery Island, but it destroyed the company’s offices and museum across the state in New Orleans. Because of its elevation, Avery Island was spared from terrible flooding triggered by Hurricane Rita, which smashed directly into Acadian Country just days later. But many of its workers were not so lucky at home. As a last-ditch safeguard for the unique Tabasco taste, more than 20 kilos of seeds are locked in vaults on the island and in a bank in New Iberia, the nearest town. 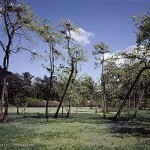 Tourists find their way to Avery Island to see the peppers growing, the egrets roosting, and the mashers mashing. Unlike a brewery or winery tour, where the samples are ample and refreshing, most visitors to the McIlhenny operation find that one small taste of Tabasco sauce is plenty, thank you. 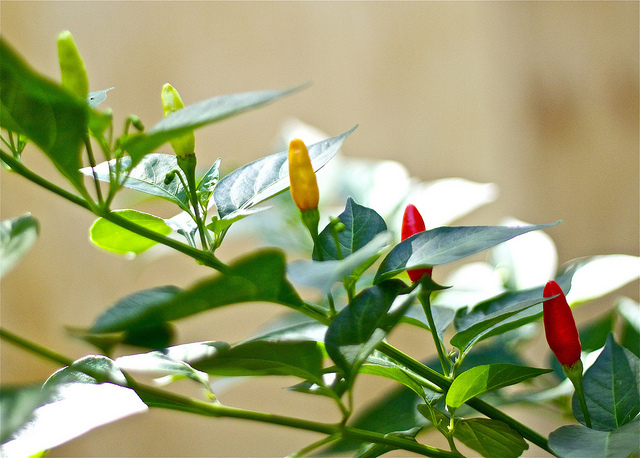 Capsicum peppers. For lack of a better word, these are chili peppers. 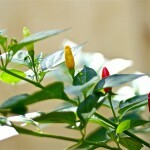 The words “capsicum,” “chili,” “chille,” “chile,” and even “paprika” are interchangeable when it comes to the taste of hot peppers. Hooey. Nonsense or senseless talk, as in, especially, a bunch of hooey. Tabasco reminds me of someone who loved it so much. I think if the chilly is too hot, it will take away the other flavours of a dish.